As a bit of a geek, I love having stats about stuff. This is why I wear a calculator watch. I have the time, date, conversion rates, the ability to time how long things take…I can even find out the time in Mexico if I need to. However, one thing which is missing is quickly finding out what the temperature is…a vital requirement when living in the temperamental British climate! 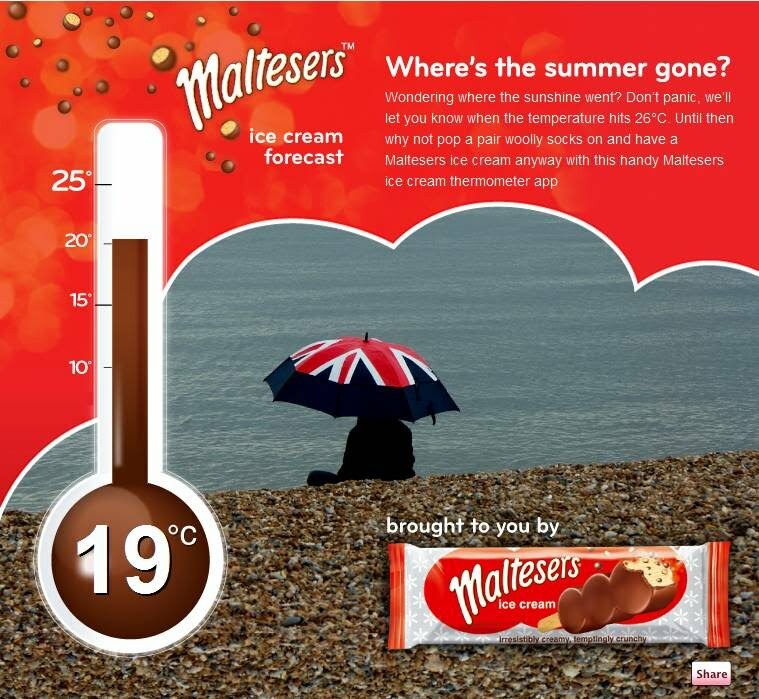 Maltesers have tried to solve this problem by introducing a handy Facebook app, which means you can find out the temperature outside next time you’re checking out your news feed. When it hits 26 degrees, it’s ice cream time! The first comment on this post receives some free Maltesers goodies.